Our forecast? Cloudy with a chance of adventure! 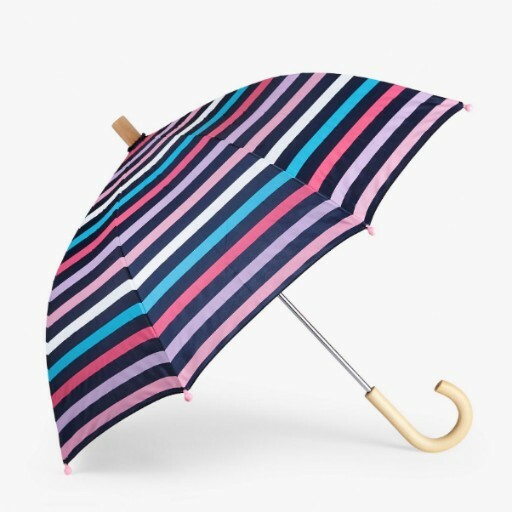 Mix and match this stripe umbrella with the rest of our rainwear collection. Features: Kid safe design Wooden handle 23" Long 28" Open 100% polyester.